About 6 months ago, I was fortunate enough to host the first annual Habitat for Humanity, York Region Summer Social. I met some great people that evening, including Charlene Deschamps and her five daughters. This winter, Charlene and her family are receiving a home from Habitat for Humanity in Keswick. I listened to Charlene's story, how she works two jobs, is a cancer-survivor, struggles with Rheumatoid Arthritis, has fostered 5 lovely girls, and still manages to fill her family with love. She hasn't had a home in a very long time, having to move from dwelling to dwelling, often living in atrocious conditions. When I met Charlene, and listened to the folks at Habitat, I became inspired. That night, I went home and talked it over with Donny and we decided we wanted to volunteer. So, we're finally doing it! The build started this September, and in addition to producing a documentary on the build, I will literally be adding a few nails to Charlene's home. I'm super excited for this opportunity, mainly because it's something I've never done before. On top of that, I get to help someone else, and spend time with Donny doing something other than watching TV or grocery shopping. Ironically, I'm not very handy - as in, I don't know how to lay drywall or sand or anything like that. But I can work wonders in the garden and am pretty good with a paintbrush. The rest? I'll learn. Anyone who knows me knows that if I'm determined and put my mind to something, I will do it. 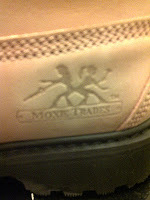 Of course, we needed equipment to start volunteering with Habitat - another great excuse to do some shopping. 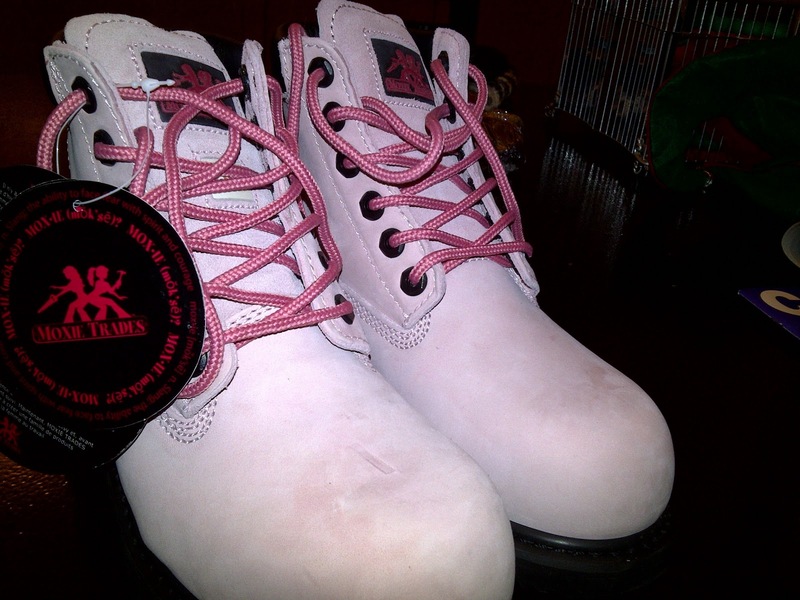 Moxie Trades is a company that specializes in workware for women and they are the Home of the Original Pink Boot. 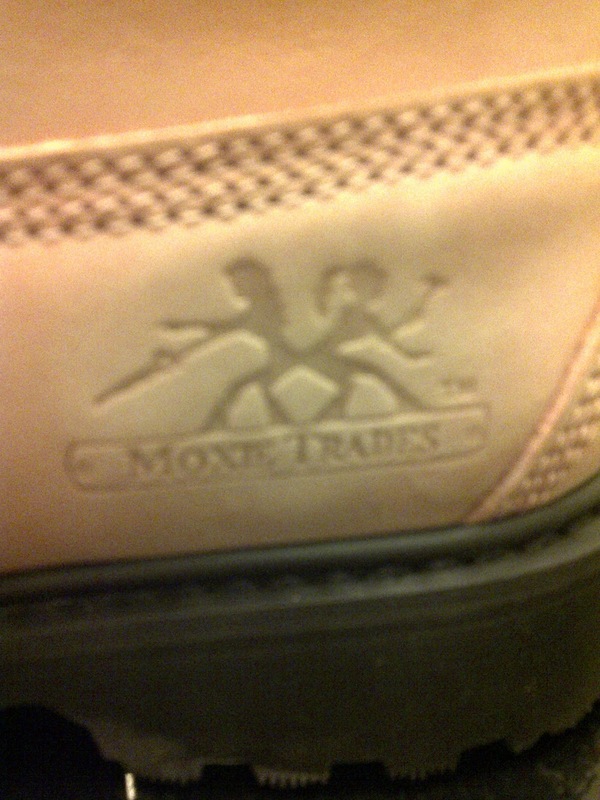 A portion of their sales also goes back to Habitat for Humanity, so that was fitting - pardon the pun. 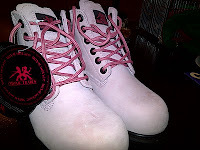 I'm now the owner of a beautiful pair of PINK workboots. I know, but I had to. Wish us luck tomorrow - it's a long day, but I'm so excited for it. I'll make sure to take photos and post them on here. If you'd like to donate to the build, you can visit Habitat's website. Good thing to know: all donations go DIRECTLY to the build - 100%. What a beautiful Christmas gift for Charlene and her family!